Fiery red hues and an intensely striking collection of precious stones create an added dose of drama among this month’s objects of desire. HUBLOT Big Bang Unico Sapphire Galaxy. 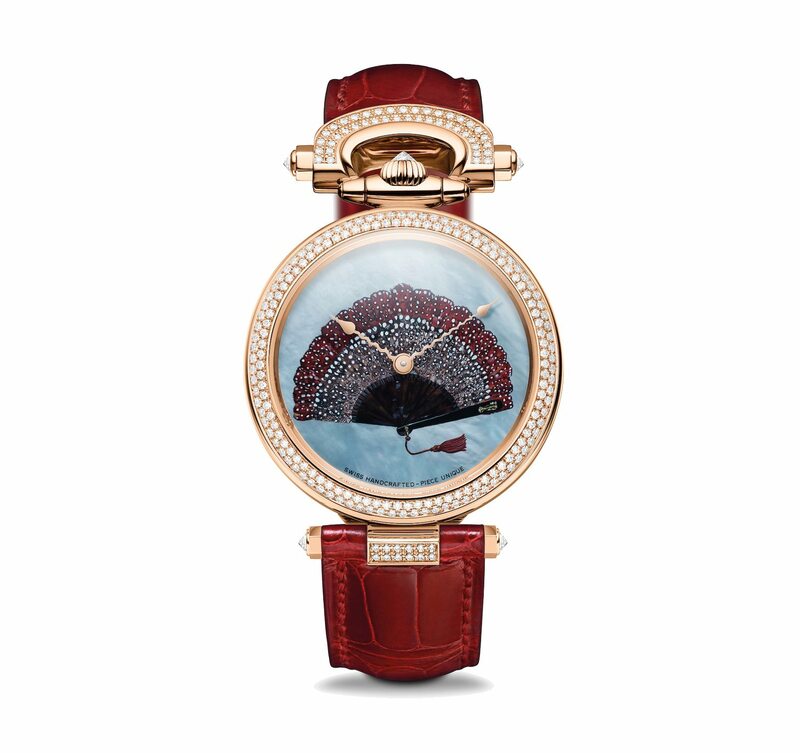 Evoking the Milky Way with a bezel of 48 baguette cut precious stone. 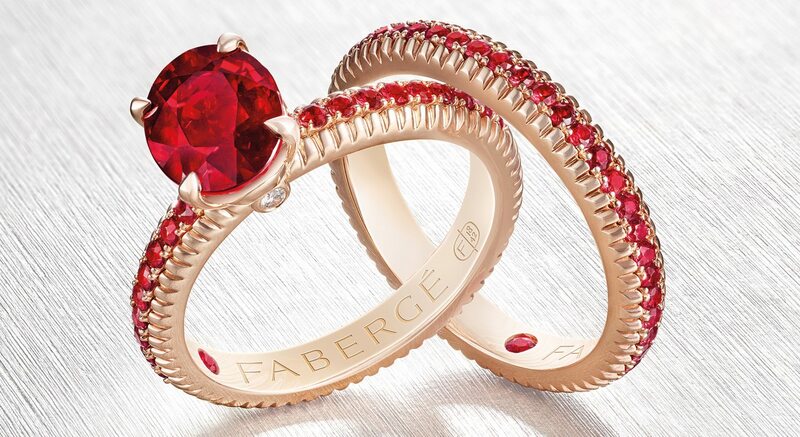 FABERGÉ Three Colours of Love. 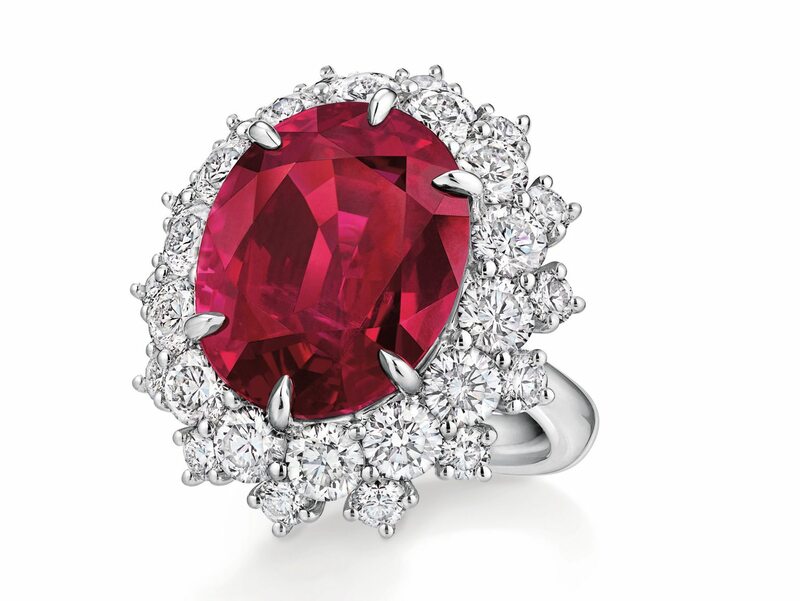 Elegant rose gold and ruby ring duo. 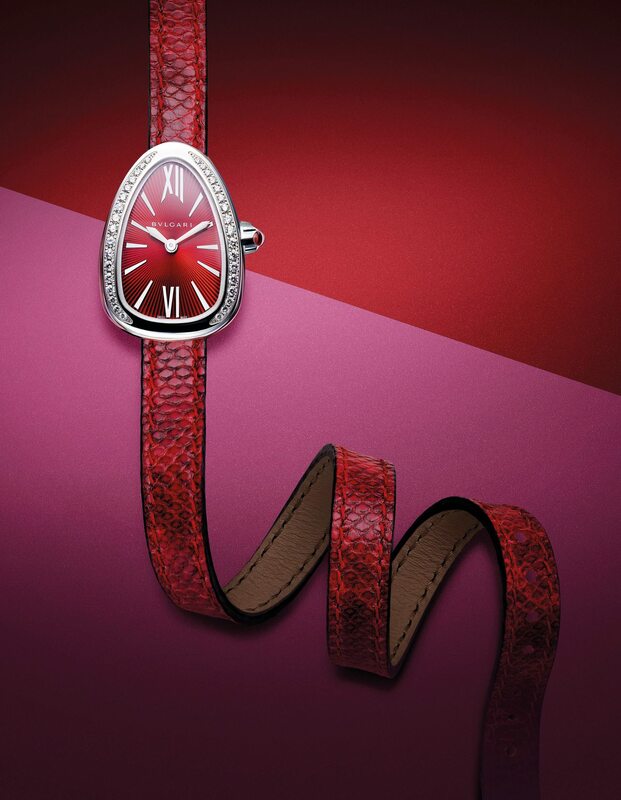 BVLGARI Serpenti Twist. 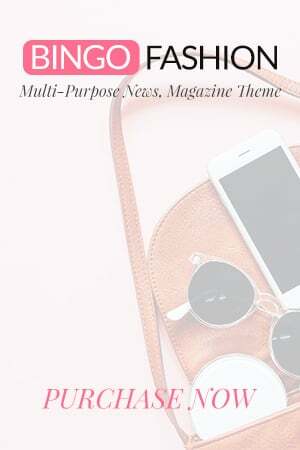 An icon reimagined in a colourful new palette. HARRY WINSTON Winston Cluster. 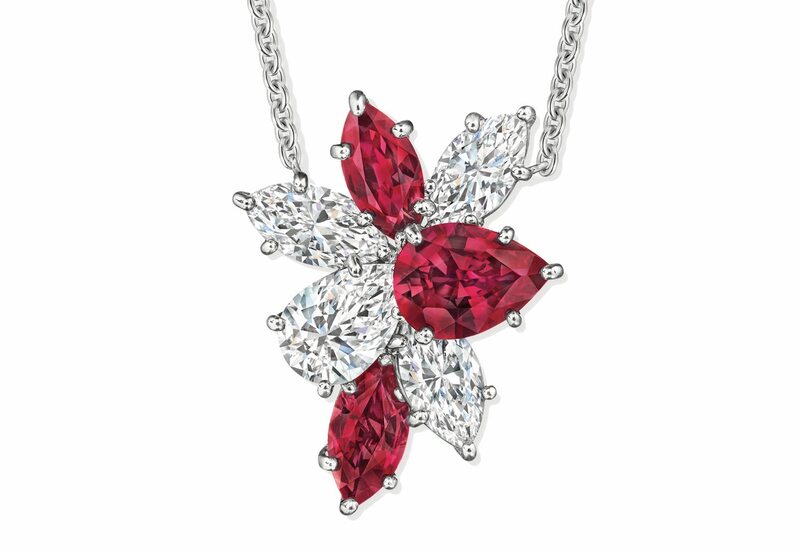 Ring and pendant set with marquise and pear-shaped diamonds and ruby accents. 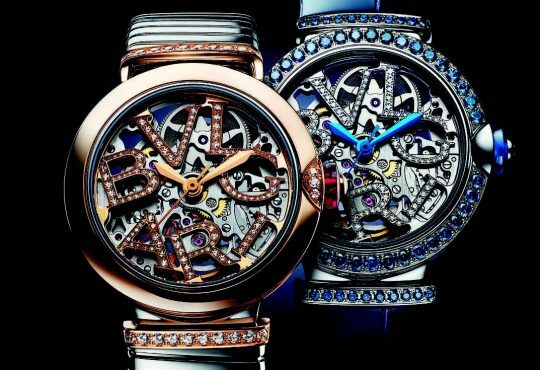 BOVET Amadeo Fleurier 39 Fan. A decorative piece boasting a miniature painting of a fan. 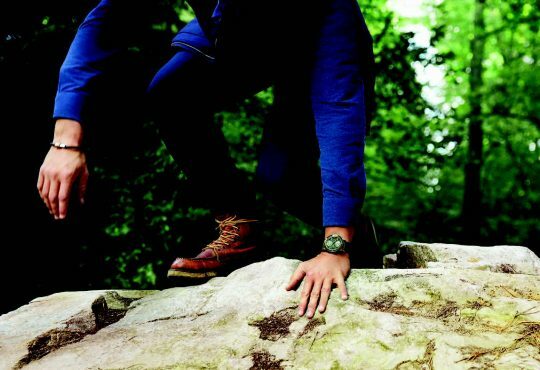 GLASHUTTE original. 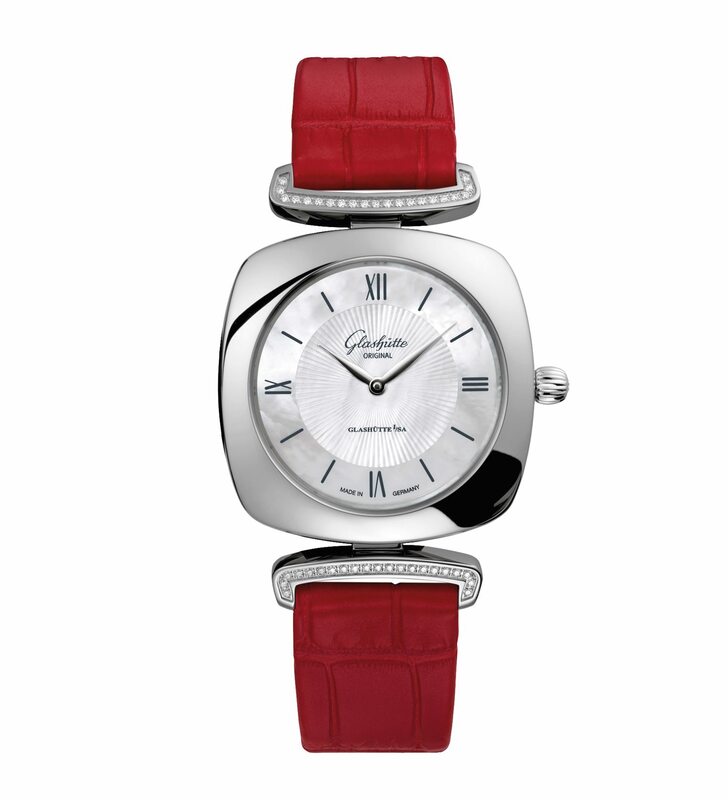 Pavonina Smart stainless steel case with brilliant-cut diamond detailing. 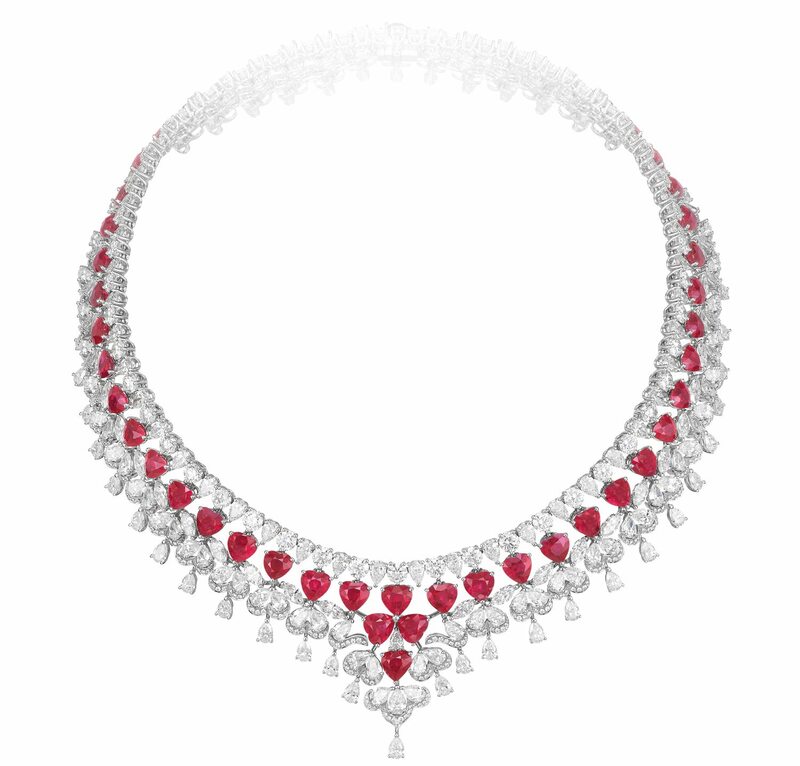 GRAFF Rubies High Jewellery. A dazzling display of diamonds and rubies. 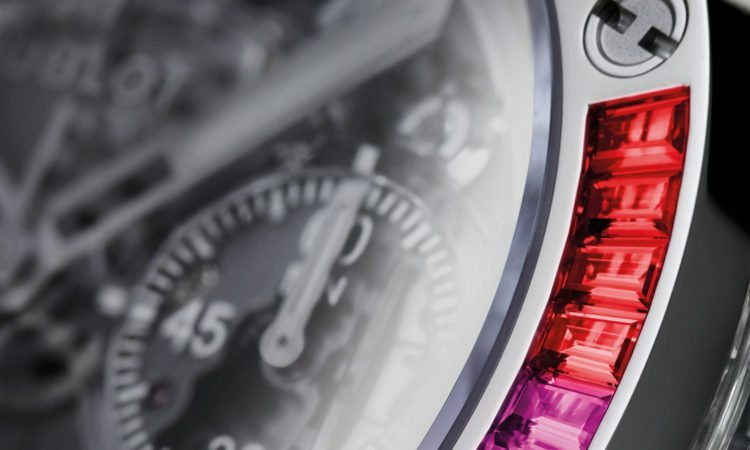 BLANCPAIN Ladybird Ultraplate. 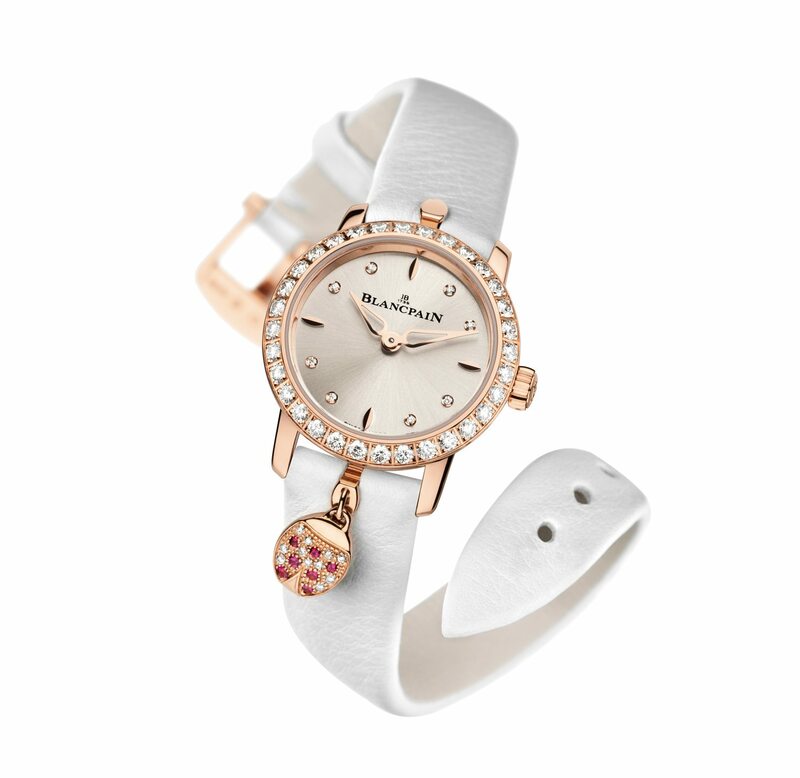 Dainty timepiece with diamond-set bezel and ladybird charm. 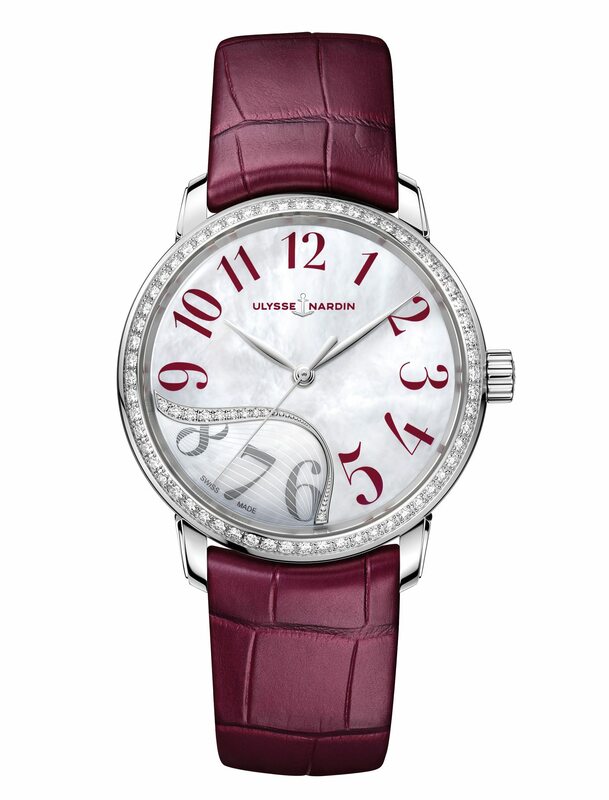 ULYSSE Nardin Classico Jade. A timeless design accentuated by a swirl of diamonds. CHOPARD Red Carpet. 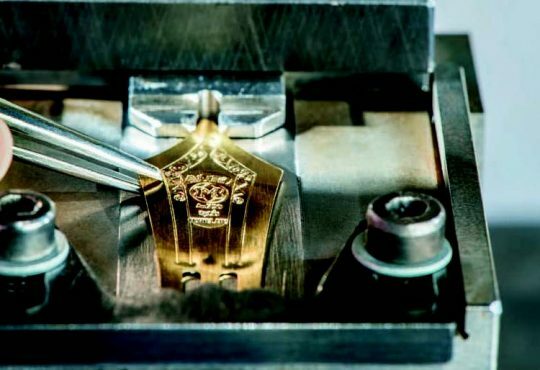 This Precious Chopard piece presents an intricate working of diamonds and vibrant gems.